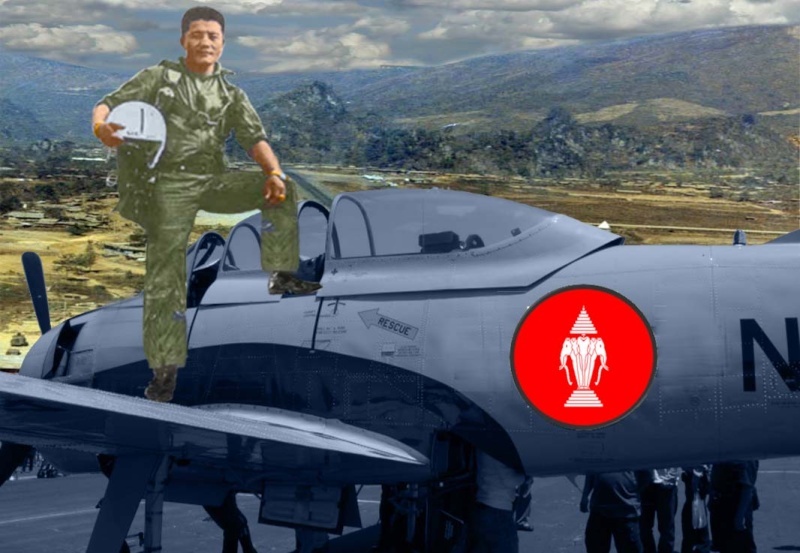 Captain Lee Lue (1935 – July 12, 1969) was a Laotian Hmong fighter bomber pilot notable for flying more combat missions than any other pilot in the Kingdom of Laos. 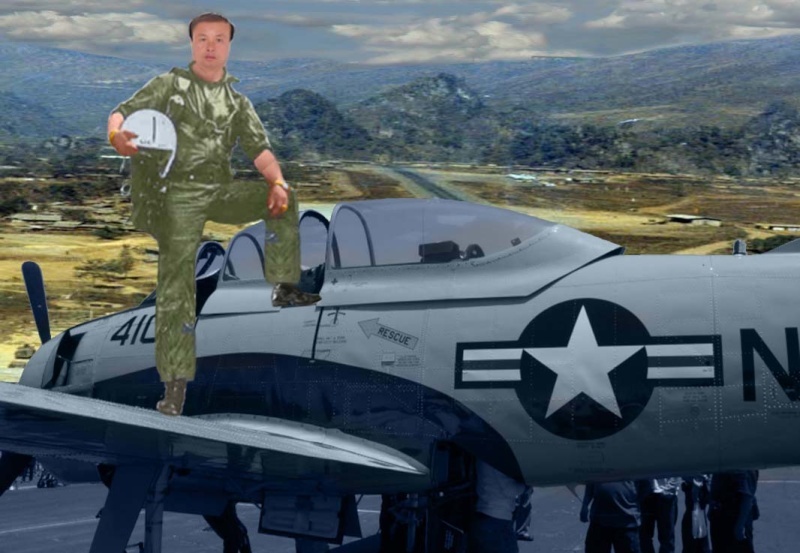 Lee Lue flew continuously, as many as 10 missions a day and averaging 120 combat missions a month to build a total of more than 5,000 sorties. 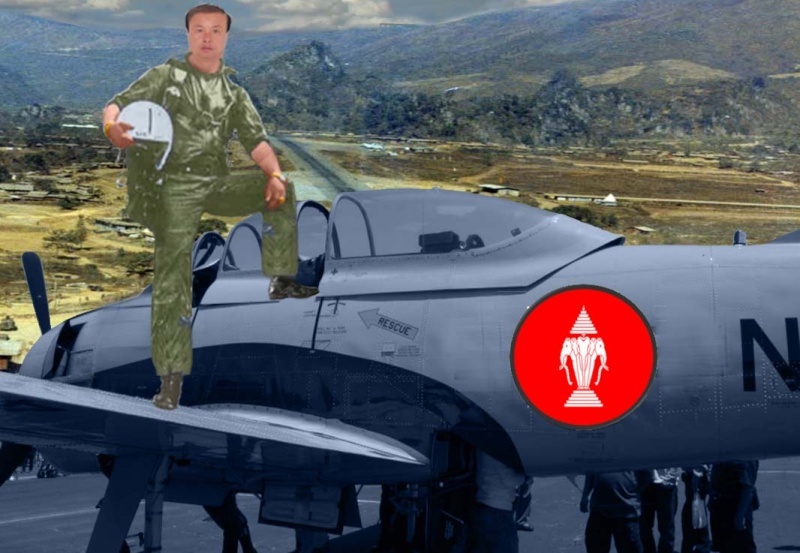 Lee Lue was the leader of the special group of Hmong pilots flying T-28Ds out of Long Tieng against the Pathet Lao and North Vietnamese positions. The group was funded by the CIA and was part of the regular Royal Lao Air Force, but took orders directly from MR2 Commander Gen. Vang Pao. He was shot down by anti-aircraft fire and killed over Laos near Muong Suoi on July 12, 1969. A motto attributed to him was "Fly 'til you die." He was posthumously promoted to Major. Lee Lue was born in 1935 to Chong Ger Lee and his wife Pa Vang in the village of Phou Pheng in Xiangkhoang Province. In 1953, Lee Lue's family moved to Xieng Khouang city after the Vietnamese invaded Laos. After the war ended in 1955, Lee Lue married Jou and two years later their first child, a son named Ze, was born. Lee Lue studied in Xieng Khouang city and later enrolled in teacher training school. In 1959, he took a position as an elementary school teacher in Lat Houng. He was among a handful of Hmong teachers in the entire country. 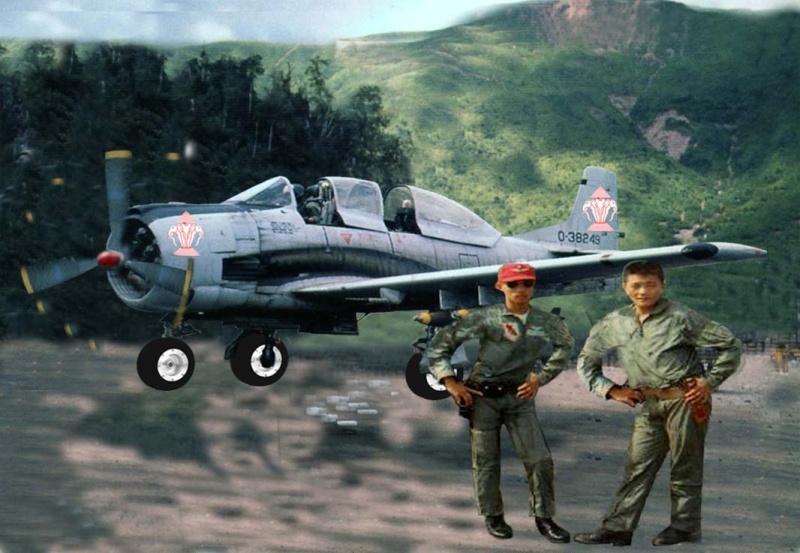 As the Secret War was escalating in 1967, Touby Lyfoung and General Vang Pao requested volunteers for flight training in T-28s. The training took place in Thailand. 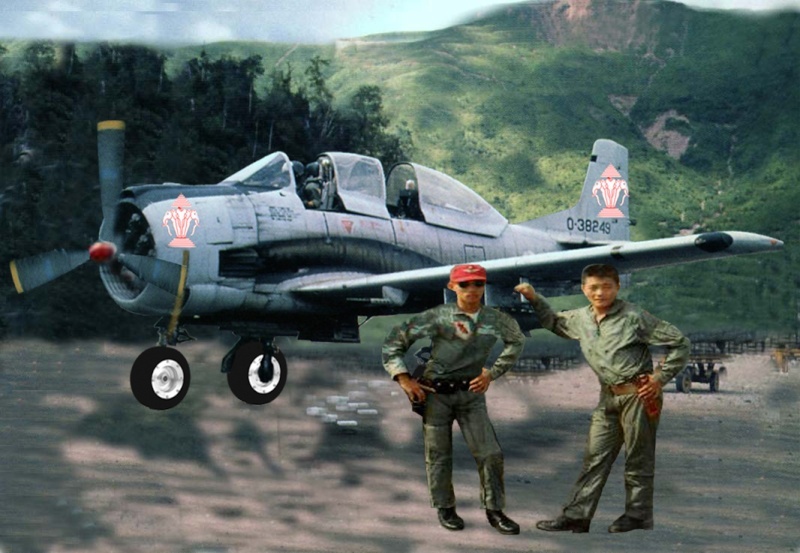 With six months of flight training, Lee Lue and another volunteer, Vang Toua, became the first two Hmong T-28 fighter pilots. 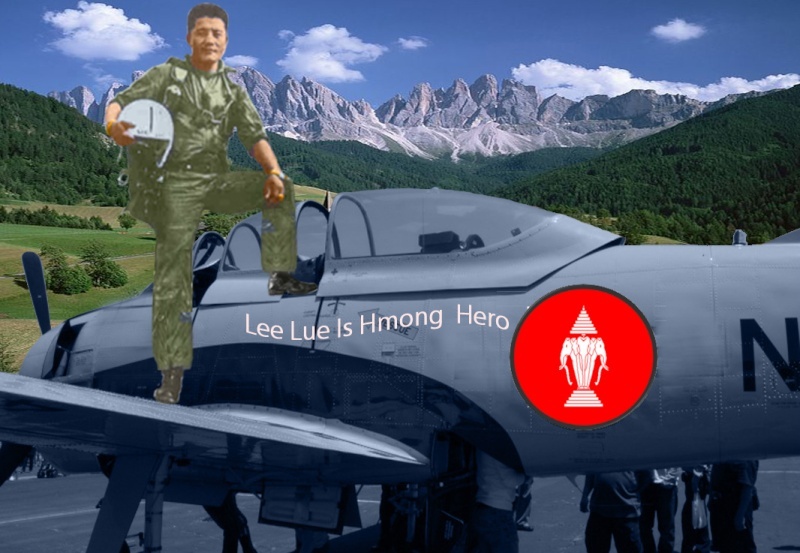 Lee Lue successfully flew aerial support for ground troops and built a record number of sorties. Away from the war, Lee Lue devoted his time to studying maps, and playing cards with his comrades. Prior to his death, Lee Lue had purchased his military uniform and was waiting to receive the rank of major. "He was excited about the promotion," said his wife Jou. 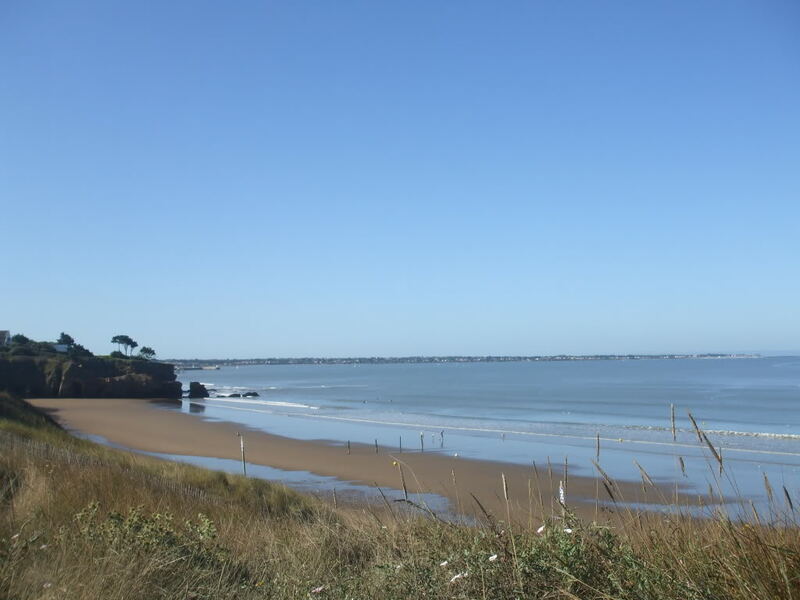 Hours before his death, the area of Moung Soui was under heavy enemy attack. Gen. Vang Pao then telephoned Lee Lue, who was flying from Vientiane, to see if he carried any bombs with him as he was on his way to Long Cheng. Lee Lue's T-28 was armed. Vang Pao needed Lee Lue to take out the Pathet Lao troops in Moung Soui as they were losing ground as well as troops. On that day, Lee Lue's T-28 was hit and his plane was later found in debris. "His death is among a few soldiers I cried to," stated Vang Pao in 2006. 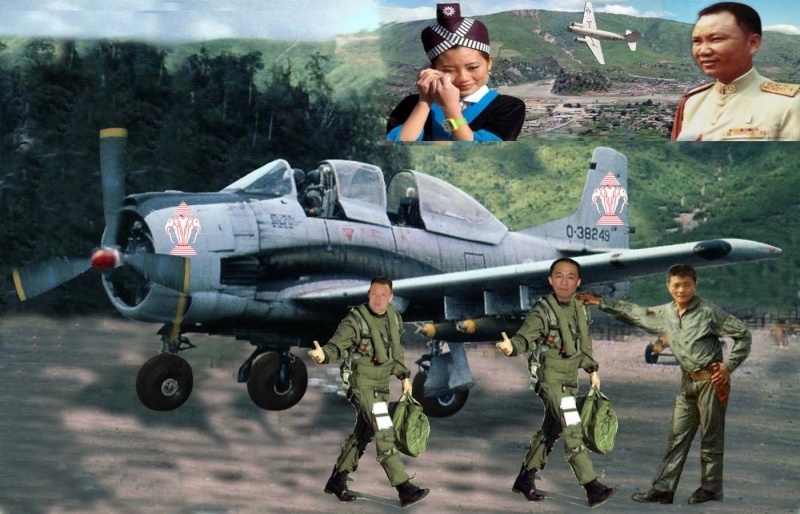 According to Christopher Robbin's book, The Ravens, respect for Lee Lue and his skills was shared by not just the Hmong but also seasoned American pilots. Meanwhile, Vang Toua, was lost among thick clouds and never seen again. Ua li ntawd ma Nkauj Hnub Qub aw, kuv tuaj lawm kuv li zov tsev o. Daim nov ces yog kuv lawm ma kojsaib kuv os? kuv zoo li nov xwb ma. 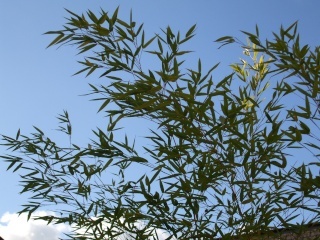 Zoo li tus daum raug xub xwb os. Zoosiab thiab ma kuv lam ua funny xwb os tiag tiag ces kuv twb tsi txawj tsav lub T 28 cov dav hlau me ma kuv thiaj li tsav tau xwb o.